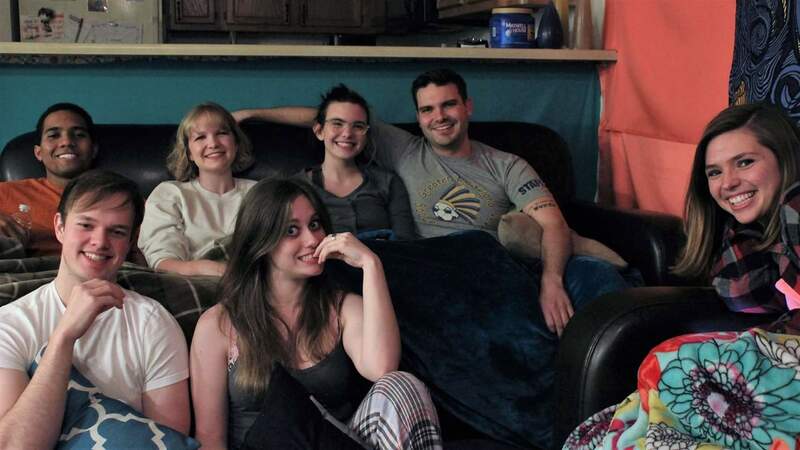 Coming soon to the Internet: “Roommates,” a web series made by students at ETSU. The show takes place in a college setting with all of the normal college experiences, including dealing with the ups and downs of assigned roommates. The story follows Madison, Shane and Alexandria as the three different individuals learn more about each other while trying to share the same living space. Canty said “Roommates” will be relatable to everyone, especially those who have gone through the trials and tribulations that roommates can bring with them when they move in. Olivia Moses, the writer and director of “Roommates,” has been working on the production of the web series since January 2016, when auditions were held. Moses draws her inspiration from many of the people she knew, whether it was back in high school or someone she knows today. Like many writers, Moses writes based on experience. Like many viewers, we laugh based on empathy, because, for many people in college, we’ve all been there before. Canty said working with the cast and crew has been great. As far as he’s concerned, they have all come together to make this web series a reality. Though primarily your standard sitcom, Canty said there is a bit of a drama-esque feeling to it, particularly when it comes to character development. While the audience may laugh at the light humor of the show, the backgrounds and personalities of the characters are very real.